Mesotherapy was accidentally discovered by a French doctor- Dr. Michael Pistor in 1952. It is now getting its due recognition as efficacious treatment for many health problems. In 1987 French Academy of Medicine recognized Mesotherapy as inherent part of traditional medicine and since then it has become part of curriculum in general medicine in France. In France approx 15000 doctors use mesotherapy in their daily practice. All around the world it is becoming a trend now and doctors in different field and especially those in sport traumatology and aesthetic medicine are acquiring this technique to help their patients. Not to have left behind in this scene – Empathy took the lead.The doctors working here made several trips to France to bring this technology to India and The Clinic is credited to be the first Clinic to introduce Mesotherapy in India. The word "Mesotherapy" means treatment that stimulate mesoderm. The definition given by Dr. Pistor is " The practice of injecting little amount of medications, not very often into the mesoderm at right spot" Like in sport medicine –amount injected of NSAID drugs is 60 times less then the traditionally orally ingested medicine over 8 days period. This leads to more efficiency of drug with least side effects. Mesotherapy also gives opportunity to combine two or three active medications in single injection. Using a very tiny needle (0.4 to 0.6 cm or the size of an eyelash), the medication is injected into the mesoderm painlessly. Sometimes the technique of "multi-pricking" is used, where a number of swift, painless injections are concentrated in a specific area. Although "multi-pricking" can be done by hand, we at Delhi Aesthetic Clinic offer a mechanical delivery system with a device called Mesogun that delivers the medicine in a more accurate fashion with even less discomfort to the patient. Patients have universally reported that the treatments cause less pain than a momentary, light pinch. Nutrition: polyvitamins, hyaluronic acid, microtrace elements etc. Metabolic stimulation : glycolic acid and rectinoic acid. Enzymatic enhancement : collagenase & hyaluronidase. Fat dissolution : phosphatidylcholine and/or deoxycholate. Myofibrillar relaxation : Dimetylaminoethanol ( Dmae ). Mesotherapy has a variety of medical uses. Treatment can benefit those patients suffering from muscle spasm, stress, insomnia, carpal tunnel syndrome, fibromyalgia, reflex sympathetic dystrophy, osteoarthritis, migraine, and infection. Such a wide variety of conditions can be treated with this technique as each treatment is formulated to meet each patient’s unique problem. As Mesotherapy is administered only into the problem area, many side effects of taking oral medication are avoided. 4. Face & Neck Rejuvenation. Contouring of the abdomen, arms, back, legs and total body can be obtained with mesotherapy. Lipodissolve agents are used to remove areas of fat by block the internal signal of fat uptake, trigger fat release inprove circulation, and burn energy, while vitamins and amino acids are used to tighten sagging skin, restore a more youthful and athletic appearance. The medical term of cellulite is "dermatomyoliposclerosis". Cellulite affects the majority of women over the 20. It is caused by poor circulation, fat herniation weakening of connective tissue, lymphatic congestion, and hormonal imbalance. Cellulite is not a disease of over weight. It appears in the subcutaneous level of skin tissue. Fat cells are arranged in chambers surrounded by connective tissue called sepatae. As water retained, fat cells held within the perimeters of this area expand and stretch the connective tissue. Eventually this connective tissue contracts and hardens (scelerosis) holding the skin at a non-flexible length, while the surrounding tissue continues to expand with weight or water gain. This result in areas of the skin being held down while other sections bulge outward, resulting in lumpy, orange peel appearance. Stage 1 no visible cellulite when standing or lying down, however present when skin is pricked or compressed. Stage 3 visible all time. Mesotherapy treatment is targeted to correct these problems by improving circulation, strengthening, connective tissues, remove fibro tic & hardening connective tissue, improve lymphatic drainage, and dissolve excess fat. Hair loss affects both affects both men and women. I6t's resulted from poor circulation, nutritional imbalances and in men the excess of a hormone known as DHT (dihydrotestosterone) Mesotherapy can correct these problems, by stimulating scalp to naturally grow the lost hair. Aging, sagging and wrinkling of the skin occurs from accumulation of fat, loss or skin elasticity, and excessive free radical damage. Infusing potent antioxidants and amino acids by mesotherapy into dermis at level of contact with cellular matrix can reverse free radical damage, and tightening the loose skin. It can rejuvenate and revitalize the skin of face and neck without the unnatural appearance and downtime recovery period. 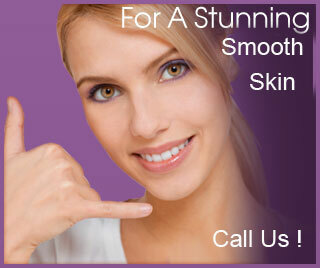 People who have had a "Mesolift" describe their skin as firm, radiant, youthful and glowing. The Mesolift is usually performed in an initial series of 2-4 treatments spaced a week apart. Results are maintained by twice a year touch up sessions. Mesotherapy skin rejuvenation is a wonderful compliment to any of the other skin treatments we offer including, photo rejuvenation, chemical peels, BOTOX® and dermal fillers. But it also stands on it's own as a powerful anti-aging therapy. Facial pigmentation like Melasma ,post inflammatory pigmentation(following aggressive treatment with chemical and Lasers),Black discoloration around eyes and pigmentation due to sun damage can be effectively controlled by using specific mesotherapy solutions. The effect of these medicines is virtually dramatic. For the problem of buldging fat under the eyes Mesotherapy provides a very effective to surgical treatment called Blepharoplasty. Infection lipolysis by mesotherapy using different fat dissolve solution treayts double chin effectively.The results are very quick in these cases since area to be treated is small.The combination of medicaments to tighten the skin together witgh lipolysis agent further compliments the treatment. For cellulite, weight loss, and spot weight reduction, the medications are injected directly to the areas being treated. Treatments are administered weekly, and patients usually begin seeing results by the fourth treatment. After 10 treatments, patients see a significant decrease in size, improved skin tone, and smoothing of cellulite. Typically patients lose 4 to 10 inches in 10 weeks. For facial rejuvenation weekly injections are given and usually 4-5 treatment sare sufficient to get the desired results. General restrictions vary with conditions treated and will be discussed before treatments are administered. You can not wear makeup for four hours after Mesotherapy. You can not vigorously exercise for 48 hours. No hot showers are allowed for 6 to 8 hours after treatments. It is also recommended to eat a meal high in protein prior to treatment. Mesotherapy will make you look 10-15 years younger! Mesotherapy has been used in Europe since 1952 when it was developed by the French physician Dr. Michel Pistor for pain management. It is the injection of a mixture of FDA approved medications, vitamins and minerals into the mesoderm, the layer of fat and connective tissue just under your skin. This mixture will differ depending on the condition and area being treated. Mesotherapy has a number of medical applications that include weight loss, spot body contouring, face and neck rejuvenation and cellulite reduction..
• HOW DOES MESOTHERAPY WORK? The mixture of medications used in Mesotherapy melts the fat beneath the skin and shrinks the deeper fat cells. Once the fat has been dissolved, it is absorbed into the bloodstream where it is carried away and removed from the body through the kidneys. The formula of medications is used to treat cellulite, destroy the connective tissues that cause the dimpling effect and dissolve fat cells that are trapped. This results in a smooth, dimple-free appearance. • WHAT ARE THE INGREDIENTS IN MESOTHERAPY INJECTIONS? The mesotherapy injection is a solution of various vitamins, minerals, enzymes, plant extracts, amino acids, anesthetics, and medications. The makeup of the solution varies depending on the needs of the patient and the desired effect while allowing for a greater level of safety when issues such as drug interactions and allergies exist. • ARE THE TREATMENTS PAINFUL? The majority of patients experience minimal discomfort. For those who have discomfort, a topical anesthetic cream can be utilized 45 minutes prior to the procedure. Ice can also be applied prior to or after the procedure if necessary. • HOW LONG DO THE TREATMENTS LAST? Patients can maintain their results as long as they stay on a healthy diet and continue to exercise. Cellulite may require maintenance treatments every three to six months. Mesotherapy can actually melt away unwanted localized deposits of fat cells. During the procedure your doctor uses a very tiny needle (about the size of an eyelash) to painlessly make multiple injections into the targeted area. For overall weight loss your doctor may inject larger areas. When treating cellulite, one formulation of medications may be used to dissolve the fat and another to destroy the fibrous bands that bind the skin. Treatments vary from three to ten sessions, one to four weeks apart. That depends on the area being treated. 6-10 treatments are recommended. Some patients see results after two or three treatments, while others require ten treatments before they are satisfied. Fat loss with Mesotherapy is a gradual process. The results are not immediate, as with liposuction. • WILL THE RESULTS LAST? It must not be forgotten that the effect of most procedures, although long-lasting, may fade with time. The results for each individual may vary. It is recommended to schedule a maintenance treatment every 3 months. For localized fat removal to be permanent requires the patient to maintain their weight. A regular exercise regime, including cardio and resistance training and the implementation of a healthy diet, that places emphasis on lean protein and low G.I carbohydrates, will assist patients in maintaining results. Side effects are limited because Mesotherapy is delivered directly to the target area. This reduces the possibility of drug interactions, and reduces the amount of medication required for each procedure. Localized bruising is common. We suggest you discontinue blood thinners before your treatment. • HOW LONG IS THE “DOWN TIME” AND RECOVERY TIME? There is no down time or recovery time for this procedure. The patient will be back to regular activities immediately. • IS MESOTHERAPY SIMILAR TO LIPOSUCTION? With Mesotherapy, the fat is dissolved and removed painlessly from the body. Mesotherapy is performed in a series of sessions with no downtime. After Mesotherapy, the results can be measured in inches, as about one pound per week can be melted away. Many patients can lose as much as two dress sizes after only ten treatments. Patients say the treatment is like a pinch or a bee sting. Some prefer to use a local anesthetic cream applied thirty minutes prior to their treatment. Mesotherapy is a non-invasive alternative supported by a 1994-95 study on "topical fat reduction" by UCLA researchers. This study concluded women who had Mesotherapy injections lost weight even without diet or exercise. About 100 people a year die because of liposuction, Mesotherapy has no deaths, stokes or heart attacks. • WHO IS SUITABLE FOR MESOTHERAPY? SMost healthy adults 18 to 80 may have Mesotherapy for body sculpting, cellulite treatment, skin rejuvenation and alopecia. The exclusion criteria as a guide follows but each patient must be assessed individually to determine whether the exclusion criteria apply for the treatment they seek. • WHO IS UNSUITABLE FOR MESOTHERAPY? In 1987, the French Academy of Medicine recognized Mesotherapy as an inherent part of traditional medicine. The International Society of Mesotherapy encompasses 14 countries throughout Europe and South America. Using a very tiny needle (0.4 to 0.6 cm or the size of an eyelash), the medication is injected into the mesoderm painlessly. Sometimes the technique of "multi-pricking" is used, where a number of swift, painless injections are concentrated in a specific area. Although "multi-pricking" can be done by hand, we at Mesotherapy Associates offer a mechanical delivery system that delivers the medicine in a more accurate fashion with even less discomfort to the patient. Patients have universally reported that the treatments cause less pain than a momentary, light pinch. The medications that are used in Mesotherapy melt the fat beneath the skin and shrink the fat cells in the Scarpa's fascia layer. The fat dissolves and is excreted by the kidneys and the bowel without any changes in your bowel habits. In Mesotherapy, very small doses of different medications are administered in specific areas, depending on the condition being treated. The medicines and plant extracts that we use at are obtained from local pharmaceutical companies in the United States . All medicines used are FDA-approved for their use. In combination, medicines for Mesotherapy are used for off-line purposes. A recent illustration of this distinction is Botox. Although Botox is FDA approved for controlling muscle spasms, the medical community embraced it for its cosmetic properties of controlling wrinkles. For many years, plastic surgeons and dermatologists have used Botox for off-line purposes. Needle Free Mesotherapy is performed with the usual chemical solutions, applied to the skin with an ultrasound device. This eliminates the use of needles and results in a pain free experience. Phosphatidyl serine, phosphatidyl choline with other medications like L-Carnitine are applied to the surface of the skin and penetrate into the mesoderm obviating the need for needles in the mesotherapy treatment. According to recent research, 95 percent of women suffer from cellulite. Not that they're the only ones. Less common perhaps, but men suffer from it to. So what is cellulite? Cellulite results from a combination of fatty tissue and fluid retention. Typically (although not exclusively) a female problem, it can affect women of all ages irrespective of their weight. In women, fat cells on the lower part of the body store fat six times more readily than those on the upper body. They also release them six times less readily. This makes weight loss from the lower body almost impossible without the upper body suffering unnecessarily. The answer? Mesotherapy. Originally a medical technique devised in 1958 by Frenchman Dr Michel Pistor to treat such conditions as Rhumatology, Sports Traumatology, Infectious diseases, Vascular diseases and the improvement of circulation, Mesotherapy has subsequently been extremely successful in the treatment of aesthetic conditions. Cellulite/Orange Peel Effect and Weight loss can be effectively managed with the use of Mesotherapy. The treatment stimulates the mesoderm, or middle layer of the skin, which in turn helps to disburse the cellulite. Treatment may be carried out immediately after an initial consultation at which point you will be informed as to how many treatments you will require. Micro-injections are given twice a week over a period of 4 to 8 weeks. Some individuals may require a course of 4 weeks, although a full treatment course takes 8 weeks. The treatment is long lasting and the results measurable. When the desired effects are achieved, all that is required is annual maintenance over a 4-6 week period. Superb results are achieved and those being treated look and feel better both during and after treatment. Overall, with a moderate amount of lifestyle change, Mesotherapy can provide measurable improvements with people losing up to 2cm from the circumference of their thighs after only 6 sessions.